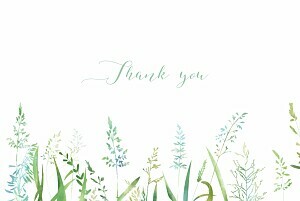 Unsure about the wedding thank you card etiquette or wording? Let us help! 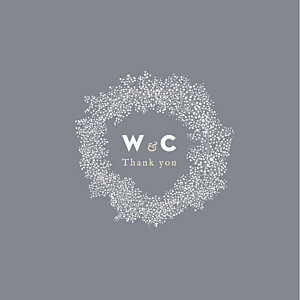 Finding the perfect wedding thank you card wording can be tricky. Should you thank everyone for their presence or include a thank you for their gift? Should you include personalised wedding thank you messages for each individual guest or just stick to the basics? If you’re looking for a little guidance or advice, call us or send us a message and we would be happy to help. If you’re pinched for time, personalise your wedding thank you cards with a bit of a longer message and simply sign and send. If you have a little extra time (perhaps poolside during your honeymoon?) 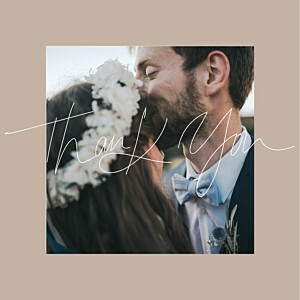 personalise your wedding thank you cards with a short and sweet message and add handwritten wedding thank you messages tailored to each guest. 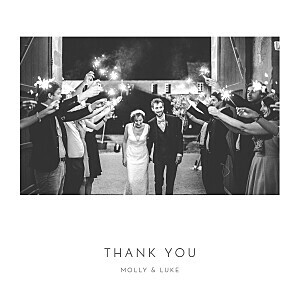 Take a look at our wedding thank you card wording page to find out more about the dos and don'ts of wedding thank you cards, as well as some suggested wedding thank you card texts. From save the date cards to wedding thank you card, give your guests a cohesive group of wedding stationery to show off your wedding style. Each of our wedding invitations was designed with its entire line of complementary products so that your wedding invitations, day-of paper goods and wedding thank you cards all compliment each other. Going for a more bohemian vibe? 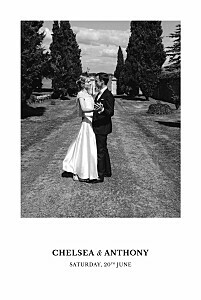 To avoid being too “matchy-matchy,” go ahead and mix and match multiple collections by choosing one of our stand-alone wedding photo thank you cards. Want to send formal wedding thank you cards to your in-laws and casual wedding thank you cards to your bridal party? That’s possible too, it’s all up to you! Our online editing tool allows you to personalise your wedding thank you cards down to the colour of your text! When should I send my wedding thank you cards? 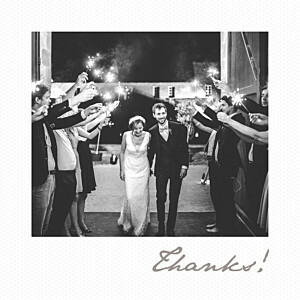 Send out your wedding thank you cards as soon as possible following your big day. 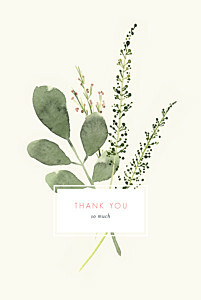 According to wedding thank you card etiquette you should send your wedding thank you cards out no later than three months after the wedding, but we are sure that your guests will not want to wait that long to hear what you thought about their lovely gifts. 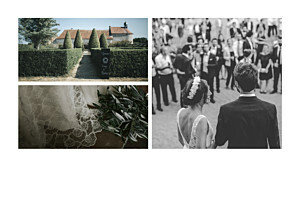 Take a look at our wedding stationery timeline for more information. Whilst typing a message directly to your wedding thank you cards does save time, a handwritten message will make your wedding thank you cards more sincere. That means that you will need to factor in time to write your wedding thank you cards, but don't forget that you are a team now so both of you should take a turn at writing out your messages. The key to getting your wedding thank you cards out in good time is being organised when it comes to recording who gave you what. Keep that gift list handy when starting to write your wedding thank you cards so that you can tailor each message to the recipient!